BSN programs require four years of training. Compared to shorter nursing pathways, BSN programs offer more in-depth training on nursing theory, informatics, and research. This allows students to employ a broad array of skills in future practice. BSN programs are available both to new nursing students who wish to take the NCLEX-RN licensure exam, and to existing registered nurses who hold an associate’s degree. BSN degrees are gaining prominence because they are a prerequisite for many managerial positions. They also prepare students to pursue a master of science in nursing (MSN) at a later date. New Mexico is home to roughly a dozen BSN programs offered at a variety of top-tier colleges and universities. 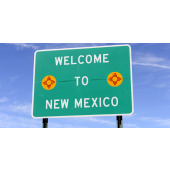 Two of the most prominent institutions are University of New Mexico and New Mexico State University. Graduates have a very promising career outlook. According to the Bureau of Labor Statistics, the nursing industry is expected to add 527,000 new positions by 2022. This represents 19% job growth for the 2012-2022 decade. Salaries are impressive as well. Registered nurses in New Mexico earn a median annual salary of $64,000, with the potential to earn $74,000 or more per year. Start or advance your registered nursing career today by perusing our list below of New Mexico’s BSN programs.